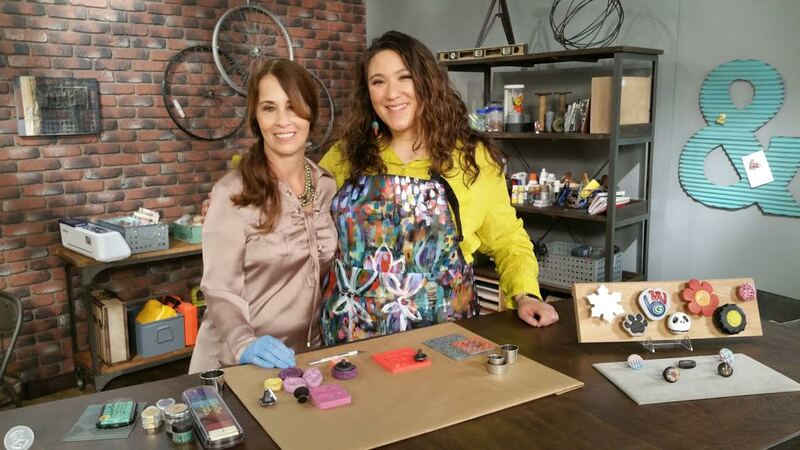 Cut, emboss and paint metal on segment 308-1 with Julie Fei Fan Balzer on the Make It Artsy YouTube channel. 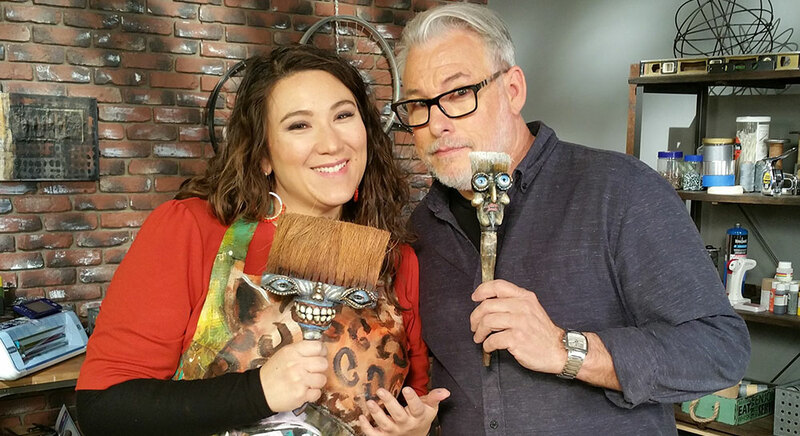 And remember to catch Make It Artsy Series 300 now airing Fridays at 11:30 am and 5:30 pm on Create TV . Check your local listings! Hi Friends & Aves Fans! 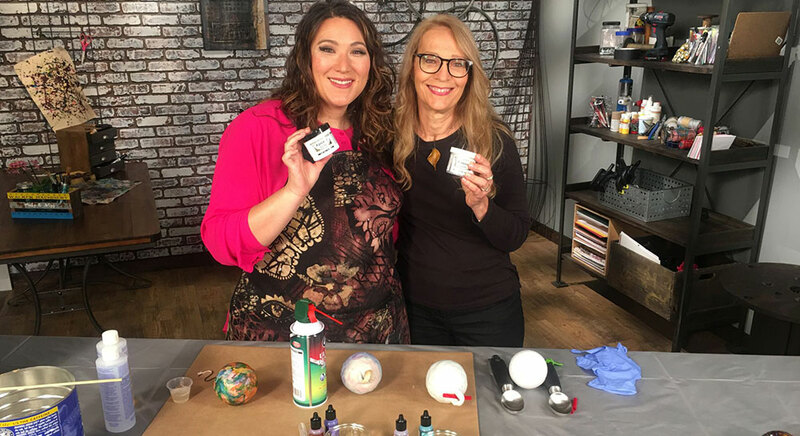 Aves Apoxie Sculpt is being featured on this super crafty show! 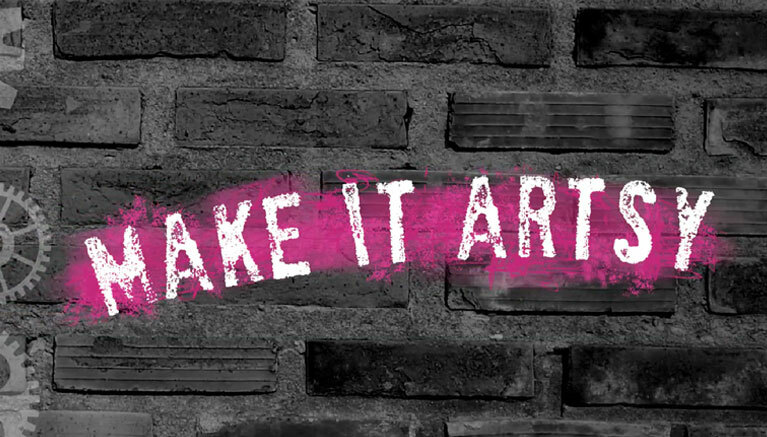 Don’t just build it – build it better with Make It Artsy! 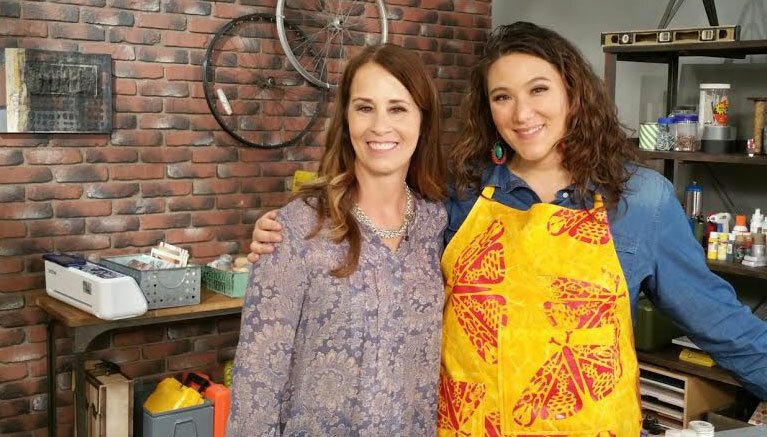 Combine materials with inspiration to make contemporary art on episode 304. 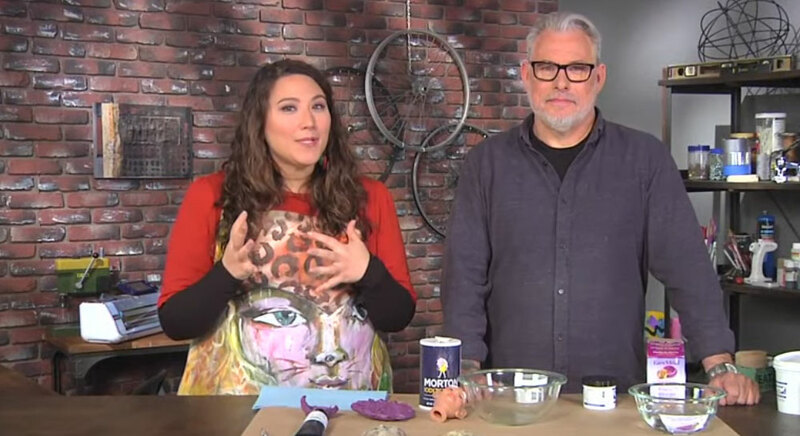 It airs on the Make It Artsy website starting at noon on Friday January 19, 2018 and runs for 7 days. 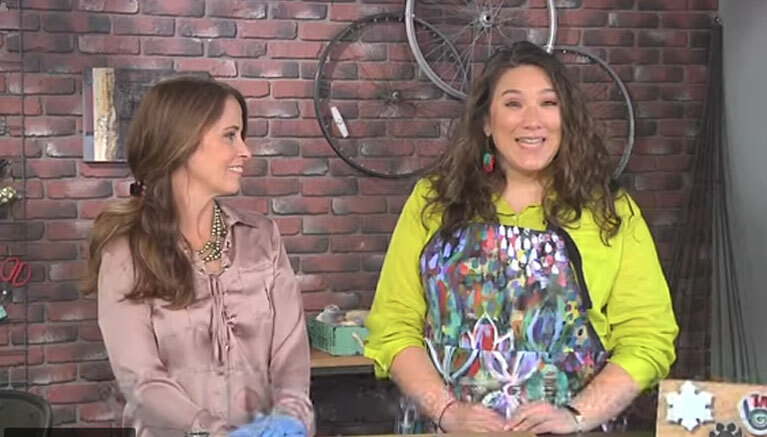 Julie Fei Fan Balzer sews and stamps fabric embellishments for book covers and more. 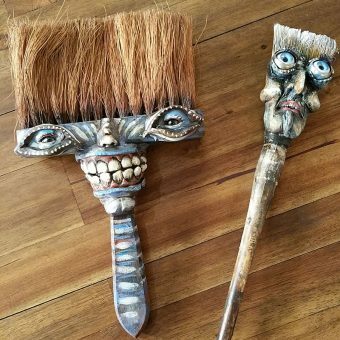 Debbi Simon combines clay with uncommon materials to create unique 3-D pieces. 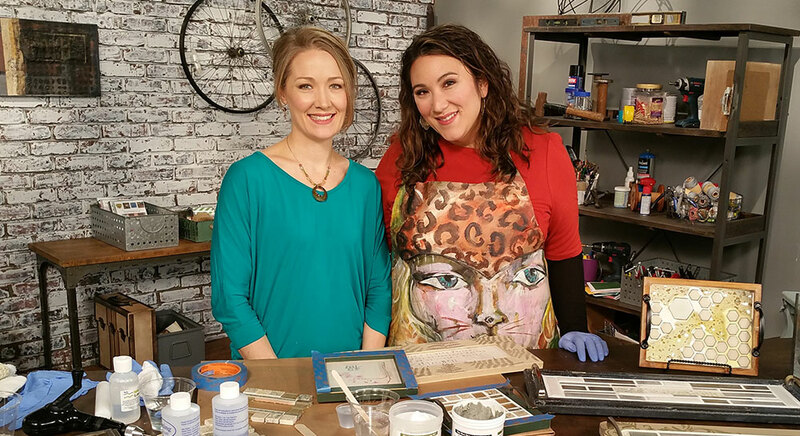 Julie Fei Fan Balzer screen prints with stencils and Mary Hettmansperger adds shine to metalwork with mica.